Let your Michele watch have the look and feel of a bracelet when you add a Michele 7-link bracelet to your watch head. This fabulous bracelet is crafted from stainless steel and has a gold finish. 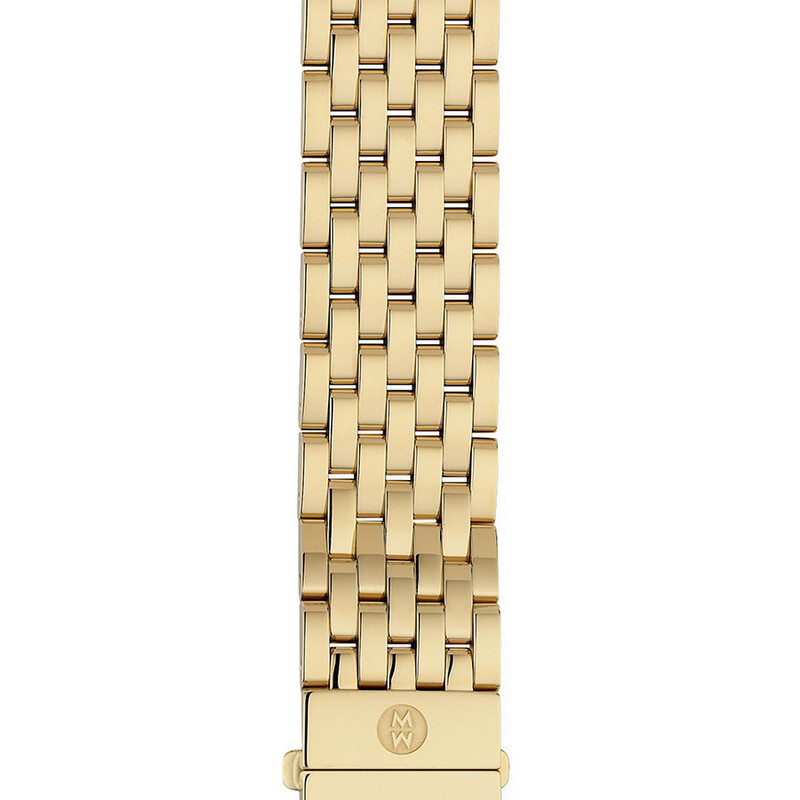 It also fit Deco watch heads for a designer look, and the Michele logo is neatly engraved on the metal clasp. Make your own fashion statement with this amazing Michele bracelet. The JR Dunn 10-day guarantee is available with the purchase of this Michele watchband.